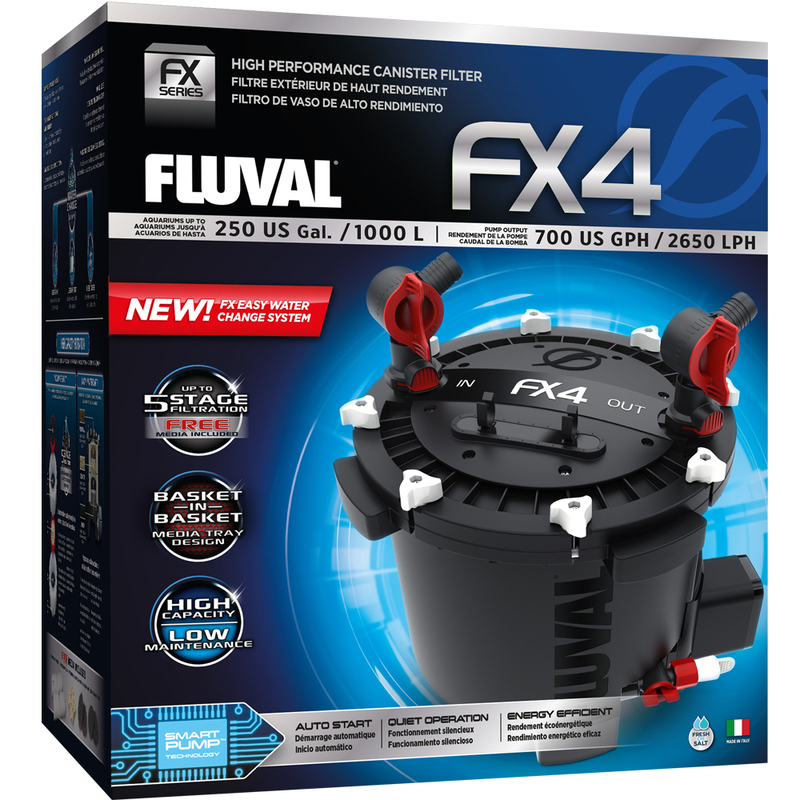 European ingenuity and innovation have fueled the next generation of FX canister filters, which feature patented SMART PUMP™ performance-optimizing technology, intricate multi-stage filtration, a built-in powered water change system and basket-in-basket tray design offering greater media capacity. 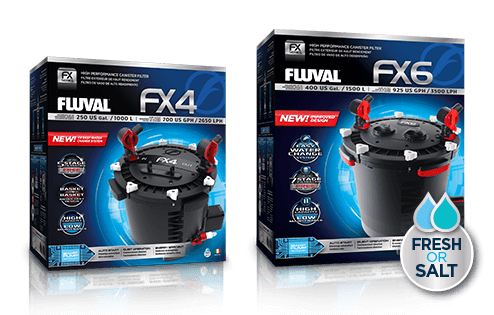 As always, you can expect FX’s legendary mix of power and efficiency that lets you spend more time enjoying your tank, and less time maintaining it. 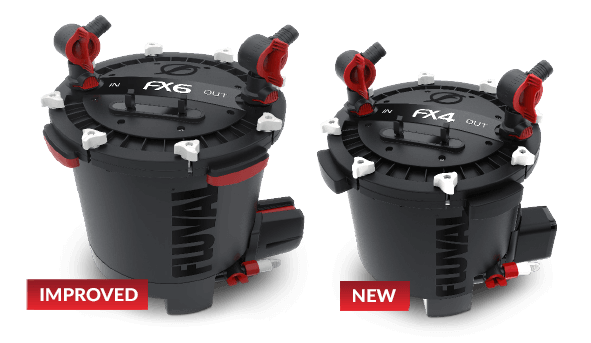 Known for its strength and durability, the FX series sweeps the tank harder and faster, while picking up a greater amount of debris, which ultimately translates into less maintenance frequency. Patented Smart Pump™ Technology employs an electronic circuit board to continually monitor the pump. Impeller speed and force are constantly measured to ensure powerful output and energy efficiency. Smart Pump™ Technology is also critical in evacuating any air that may build up in the system. Once every 12 hours, the filter will pause and allow any trapped air to escape, thereby maintaining maximum filtration efficiency. Just add water and Smart Pump will prime in seconds. Unidirectional impeller features less mechanical joints for reduced noise. 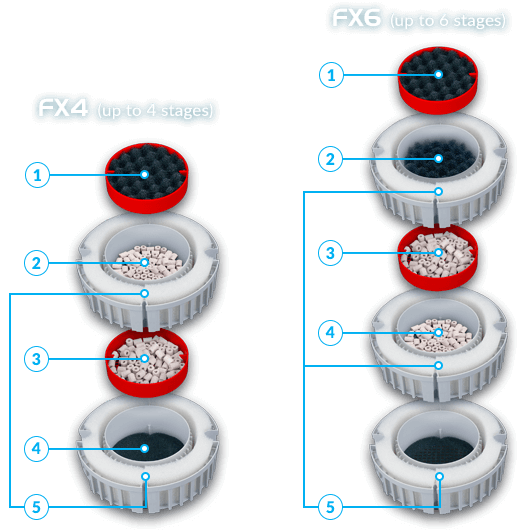 The lift-out stack of media baskets is at the heart of Fluval multi-stage filtration. 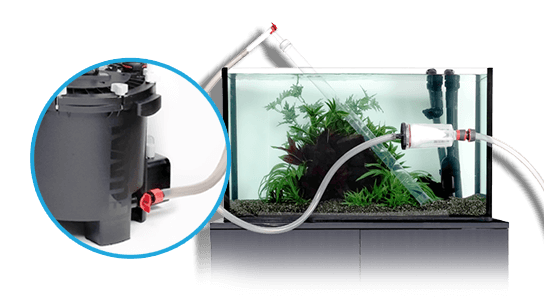 These large capacity baskets enable you to stack filtration media in the precise combination of layers that will work best for your aquarium. 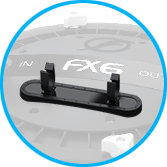 The latest generation of FX filters incorporates 2 additional trays for even greater media capacity and flexibility. 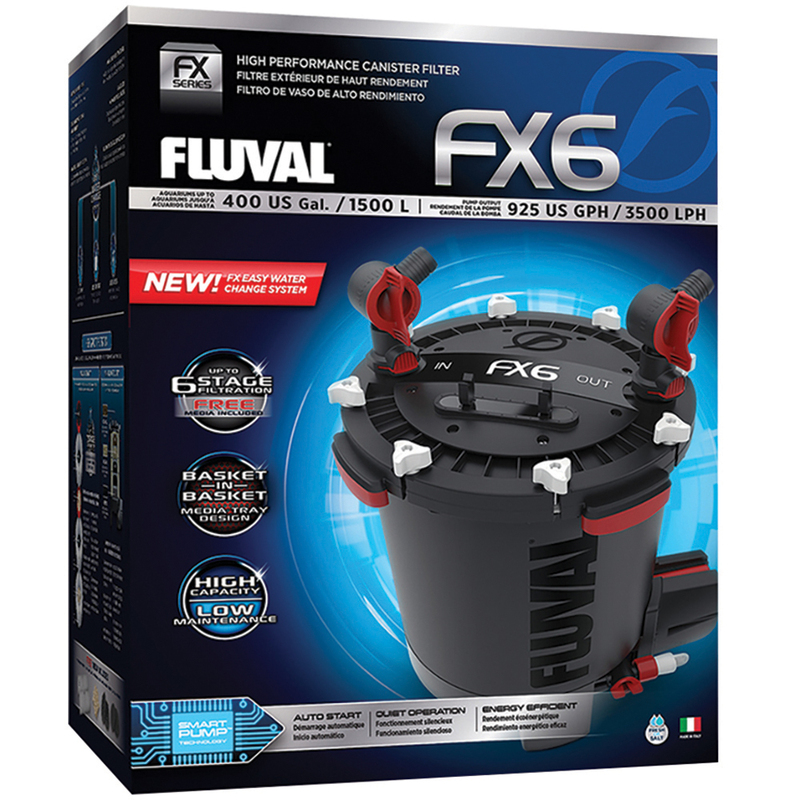 The FX series features a multi-functional Utility Valve drain at its base, making it possible to empty the canister and perform seamless water changes by draining and refilling water directly from it. Convenient lid-mounted hosing clips offers clean storage when not in use – no need to reconnect for subsequent use. 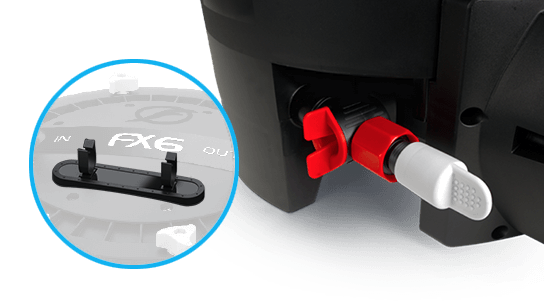 This new feature connects directly to the Utility Valve for powered substrate cleaning. A thumb-operated flow valve regulates pressure simply and effectively, while disposable filtration bags offer mess-free maintenance for various applications. (L x W x H) 15.75 x 15.75 x 16.5"
(40 x 40 x 42 cm) 15.75 x 15.75 x 20.8"